isolated flame chamber garantees a stable flame. the flame chamber is seperated from the queching track and therefore safe of any turbulenz from queching processes. the capablity to be used for both diffusion and premixed flame. very scalable as there is no any futher parts in combustion chamber that may disturb the flame and reduce the flame stability. 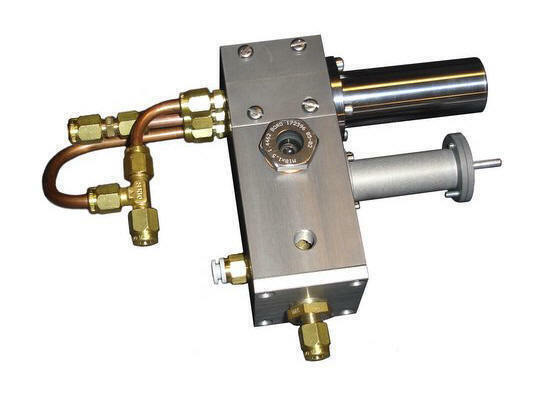 The burner can be designed for any size to meet different requiremens on flow rate and particle concentration. The image shows the 6. generation of the CAST burner since 1999. It consists of an upper and a lower part. Both form a combustion chamber with a stable flame without any further means. The flame can be initialed using a lighter through a opening. Soot particles are formed in the combustion chamber and quenched on the hight of the exhaust pipe line. 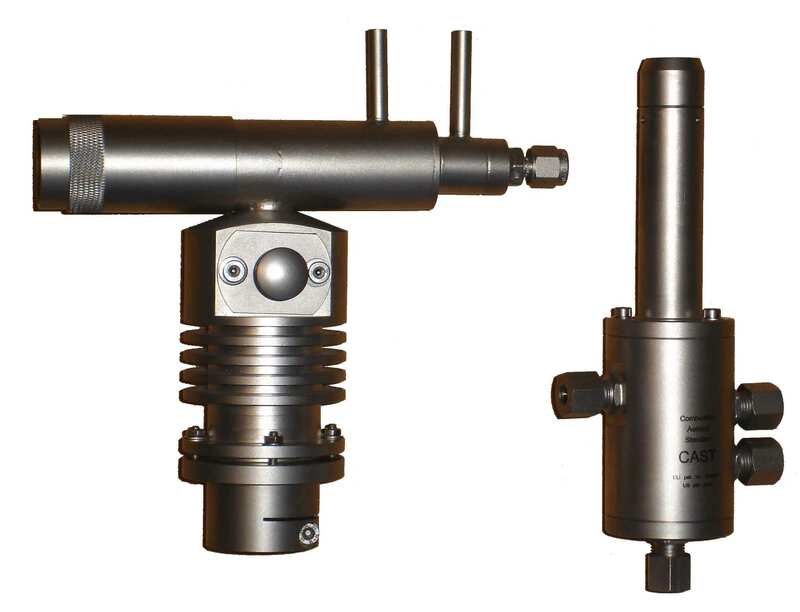 The miniCAST burner is designed as a compact device with an integrated ignitor and a sight glas for observing the flame state. The burner can be used either for low cost soot generator with lower precision or in combination with external flow or pressure controller for calibration purposes. The HiMass CAST burner is an exemple for free scaling the CAST-based burner. Based on the requirments of customer the CAST burner can be designed for nearly every flow rate and particle number and mass concentration.